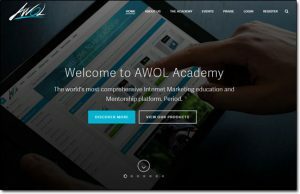 AWOL Academy Review – Is It Legit or Will Keala Kanae SCAM You? If you’ve came across AWOL Academy and you’re looking to find out more about then you’re in the right place. I recently joined around 2 to 3 weeks ago & I’ve decided to put this AWOL Academy review together to share all the details with you so that you can find out exactly what it’s all about before you decide to commit yourself & join. 2018 Update: After spending some more time inside of AWOL Academy I realized it was not the program for me, you can find out why I came to that conclusion here. AWOL stands for Another Way of Life & the AWOL Academy which has been developed by 2 guys named Keala Kanae & Kameron George is designed to teach you how to become a successful online entrepreneur. Now I personally have been “working” online for quite a few years but at the same time I’ve always been a big believer in continuously educating myself so that I can keep improving my game. Therefore, naturally when I heard about the AWOL Academy launching I was pretty intrigued to see what it was about. I jumped on the AWOL Academy webinar which was hosted by Keala Kanae himself & to be honest by the end of it I was completely blown away. I had received more value in that 2 hour long (and free) webinar than I had received from some of the other training programs I’d previously spent thousands on. By this point I was hooked & hungry for more so I made the decision to join AWOL at a cost of $99. The AWOL Pro Academy is a 5 module course which has been designed with the complete beginner in mind & it basically teaches you step-by-step how to build your very own online sales funnel & lays the foundations for becoming successful online. As mentioned above this course comes at a cost of $99 but take it from me it’s worth every cent. I’ll admit that with me having some prior online experience I didn’t really feel that I personally was going to get much value from this course alone but boy was I wrong. Yet again Keala & Kameron over delivered. This 5 module course actually consists of a whopping 25 value-packed videos & on top of that you even get to arrange a 1-on-1 coaching call with a member the AWOL team who will make absolutely sure you have everything set up correctly. And honestly that is literally just a small chunk of the things you will learn throughout the AWOL Pro Academy course. It’s safe to say that you definitely get bang for your buck here, and I’d probably go as far as to say that this is the best value training I’ve ever gotten online for $99. If you’re a newbie then this course will be beyond perfect for you. 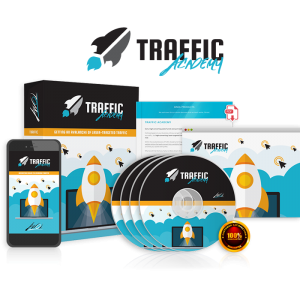 Unlike other courses I’ve seen it’s not just some heap of junk that just tells you to “go get traffic & watch the magic happen”, this Pro Academy course actually walks you through step-by-step not just what you need to do, but exactly how you can actually do it. What sets this aside is the fact that the training you’re given isn’t just hyped BS for you to promote some naff opportunity (like most of the other courses), it’s genuine training that will teach you how you can build a REAL affiliate marketing business online, and it’s training that points you in exactly the right direction. Click here to jump straight to my overall conclusion on AWOL Academy. Based on the value I was given in the AWOL Pro Academy I couldn’t not go on to purchase the AWOL Inbox Academy, which is the next product in their lineup. I was actually pretty excited about diving into the Inbox Academy training because it focuses on email marketing & that’s an area I’ve been struggling with a little bit lately. So to re-cap the AWOL Pro Academy will teach you the fundamentals of getting everything set up & getting it moving, then the Inbox Academy will teach you advanced email marketing so that you can take things to the next level. I was kind of expecting the quality to dip in this product (now that they’d got my money – heh), but nope – it stuck at the super high standard that I received in both the webinar & the Pro Academy. 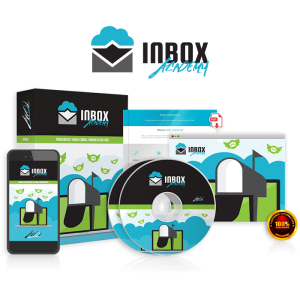 The Inbox Academy comes in at $297 but again it packs bang for your buck & it will teach you some insider techniques for maximizing your revenue-per-subscriber. Whilst this product comes in at a slightly higher price point I do definitely feel that the training provided is a worthwhile investment. There was one tip alone that I took away which enabled me to increase my click-through rate by nearly 50% (yes, 50% – that’s no typo). It’s safe to say that there is some powerful training contained in this module, and Keala drops some golden nuggets which you probably won’t find elsewhere. This course kind of follows on from the AWOL Inbox Academy because among other things in this course you’ll learn how to use the power of story telling to build strong relationships with your prospects and how you can write copy that will enable you to pretty much command sales from your visitors. There’s also a lot of training in this module on the best ways to produce high-converting video sales letters which is massively valuable as VSL’s are becoming increasingly popular as higher internet speeds are meaning that more people are choosing to watch video than read text. Basically the AWOL Conversion Academy is all about teaching you how to maximise your conversions & close sales. This is where the training begins to get a little bit more advanced, but it flows nicely from the 2 modules that came before it (the Pro Academy & Inbox Academy). The cost of this module comes in at $997 which to some people might seem like quite a lot of money, but if you are serious about your business then the training inside this module (if taken action on) can easily give you a strong ROI. Thinking that I “knew it all” I personally neglected learning more about closing sales for quite a few years, but once I opened myself up to education I was able to almost triple the overall income of my business by mastering how to close high-ticket sales. I strongly believe that the training inside the Conversion Academy provides value for money, and for me I’m primary enjoying learning about the VSL’s because creating videos has always been something I’ve shyed away from but now I’m looking to get into it & improve my game. The other courses inside the AWOL Academy have a primary focus on building the foundations for your online business & teaching you the fundamentals of making sales, the AWOL Traffic Academy on the other hand is the module that will help you get things moving. The AWOL Traffic Academy is actually a highly sought after product, even by many veteran marketers. The information & level of detail that is contained in the AWOL Traffic Academy simply cannot be sourced elsewhere, it truly is gold. And since traffic is the lifeblood of any online business I was actually quite shocked to see that the cost of the Traffic Academy was only $997, I mean I know that might still sound a lot off-the-bat but in the grand scheme of things it’s peanuts for what you’re getting. Unlike many of the other traffic generation courses out there the AWOL Traffic Academy doesn’t just recite old & burned out methods. Instead you’re shown step-by-step how you can leverage Facebook to generate high quality leads for as little as $0.17, and when I say high quality I mean leads that are literally ready to buy… And yes, you can get those red hot leads for just $0.17! Honestly when I said above that the information in this module was gold I really meant it. Even if you’re completely new to Facebook ads you’ll be shown exactly how you can launch your first campaign & you’ll even be shown how to take advantage of re-targeting to massively increase your campaigns effectiveness. Right from the start I’m going to make it clear that the AWOL Masters Academy is not a product for everybody. It’s a product that’s been solely designed for true entrepreneurs who are dedicated to making a chance in their lives & seeing success. The Masters Academy is all about mindset & financial training to help you overcome any obstacles that you might face along your entrepreneurial journey. There’s no way that you can avoid obstacles, they’re inevitable, but at least if you are prepared for them you will be able to tear through the challenges. The 2 biggest reasons people fail in business are simply because they either give up or lose confidence in themselves. Becoming successful is all about your mindset & it’s all about how you deal with the challenges that are you are presented with. When I first started out in business I thought all the “mindset stuff” was mumbo-jumbo, but after attending a conference with several highly successful entrepreneurs I realised the true power of the mind & that realisation/mindset shift alone led me to multiplying the results of my business. But alongside the mindset training another important component of the AWOL Masters Academy is the wealth training in which you’re taught how to put your money to work for you. You’ll learn about investing your money, achieving high ROI’s & basically how to leverage your money instead of your time. Anybody can build a business & make a lot of money, but few can build a business to the stage where they can step back from it & enjoy the time freedom too. The AWOL Masters Academy has been designed to teach you how you can build a more passive income by leveraging systems, investments & more. Verdict – Is AWOL Academy a Scam? For me personally the AWOL Academy is a breath of fresh air, and I would highly recommend that you join. The information inside is highly valuable & both Keala & Kameron over-deliver on everything they do. If you’re serious about starting an online business then the AWOL Academy will guide you in the right direction, and you’ll be given access to some “insider secrets” that you simply won’t find anywhere else. I’ve personally been online for around 5 years now & I’ve picked up several golden nuggets from the AWOL Academy alone that I believe will truly help me to take my business to the next level. On top of that even the community itself inside AWOL is awesome, it’s just such a friendly atmosphere and it makes you really glad to be a part of AWOL. It’s certainly not a scam! 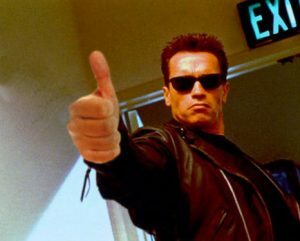 So yes, AWOL Academy is getting a whopping great big thumbs up from me as it truly is rare these days to find something of such high quality online. Keala & Kameron (the guys behind AWOL) are clearly 2 guys with solid integrity & a strong focus on providing massive value to their members. REAL Review of Amazon Sales Blueprint By Tai Lopez – Is It a Course Worth Buying? Digital Experts Academy Review – Scam or Legit Way To Make Good Money Online? Crypto Trade Book Review – Is It a Scam System or Legit Auto Trader? 8 Responses to "AWOL Academy Review – Is It Legit or Will Keala Kanae SCAM You?" Dale thanks for confirming what I already felt……Awol is a great company that performs above and beyond what you pay for !!!! Did you do a lot of research previous to starting this full time profit? I am curious because I very recently started searching for opportunities like this and managed to come across Keala’s promotion video and then this article. Hi Alberto, AWOL is primarily geared to people living in the USA/CA – but don’t worry, since reviewing AWOL I actually found a much cheaper program (where you can actually get started for free) which you can find out more about here. That would be the perfect program for you I think. If you’ve COME, not came.